More Root, new TIME Stories, and Disney adds new Villains to Villainous; all this and more in this week’s Board Game News Brief! 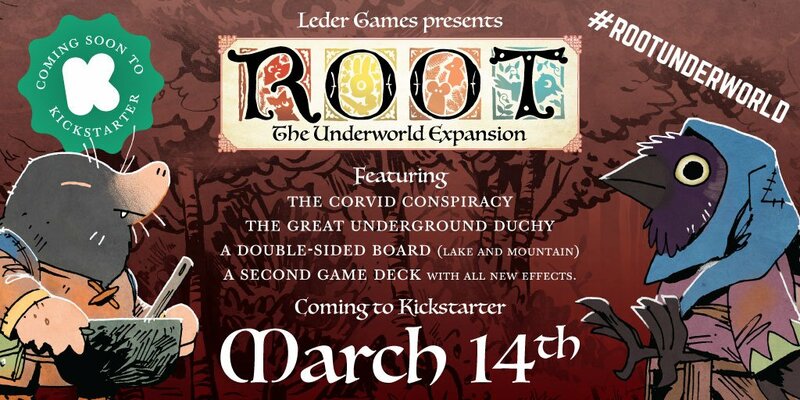 The crows and the moles join the battle for the wilderness in last year’s BoardGamePrices best-seller Root. The second expansion following the Riverfolk, The Underworld introduces the two new factions as well as a mountain pass and lakeside map, new vagabond meeples, and a whole load of exciting extras. Accessible yet nailbiting, Root makes every turn count as each faction tries to steady their own grasp on the balance of power while seeking to overturn their adversaries. Combat is simple, cards are scarce, and defeat – or victory – lurks behind every tree. 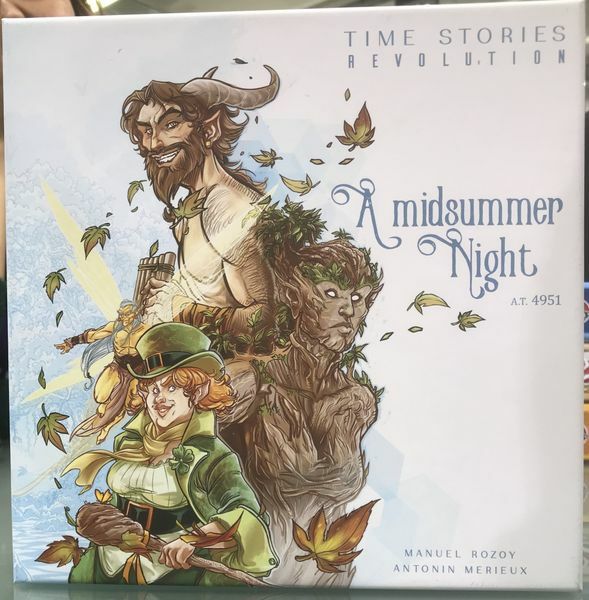 You can pick up the base game and the Riverfolk expansion in advance of the KS launch – and probably should, since they spent most of last year sold out. Time Stories has reached the end of its first chapter; a new series of games (dubbed the Blue Cycle) has been announced, with the first box above. Publisher Space Cowboy has decided to take a new tack with the series, with each installment able to be played out of order. Apart from this, the mechanics will significantly change – gone is the base, now each game will jump straight into the time travel, and the game will focus more on characters than items. We can expect to see the next Time stories series later in 2019, approximately Q3 according to the publisher. Villanous adds 3 new villains in Wicked to the Core. The Evil Queen. Dr. Facilier. Hades. 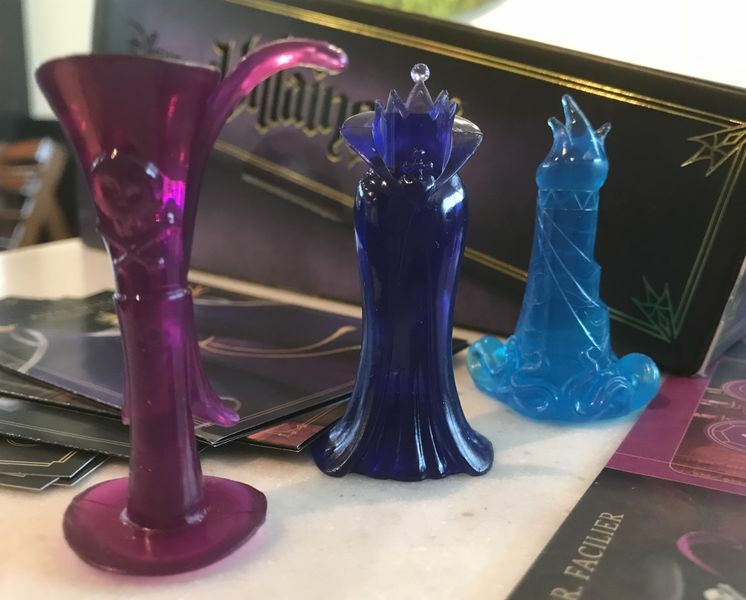 These three no-good very-bad villains are the newest set to be announced for Villainous; the first expansion to last year’s Disney board game of completing vicious plots. Given that every villain has different mechanics and victory conditions, this is a serious bump in variety to Villainous. Wicked to the Core is out in the first week of March, and can be played by itself. I don’t often promote upgrade kits, but this one is so good! Fans of Dinosaur Island and its expansion; have a look at these pre-painted meeples! (I guess if you’re just into having a ton of land-and-water-based dinosaur meeples, you could check the campaign out too! Chocolate Factory is by Dice Hospital publisher Alley Cat Games – first of all – LOOK AT THAT ART! You have an actual card board conveyor belt! Chocolate Meeples! Dice Hospital was one of our favorite games of 2018 so Chocolate Factory is well worth a look. “An adventure board game with storybooks full of journeys to new worlds, quirky aliens, and many, many branching choices.” reads the pitch to 1001 Odysseys. A science fiction game of whimsical adventure, 1001 Odysseys looks like it’s going to end up on a lot of favorites lists.